Every time people ask us about the absolute best way to whiten the skin, we usually ask them how they wish to accomplish this aesthetic goal. Invariably, people tell us that they wish to become lighter skinned without using harsh chemicals and questionable pharmaceutical cocktails. Image Credit: Milk Glass, Tookapic, Pexels. We understand that not everyone is open to using whitening chemicals and bleaches, so we have taken the liberty of preparing an equally impressive array of effective natural skin whitening remedies that you will surely love. 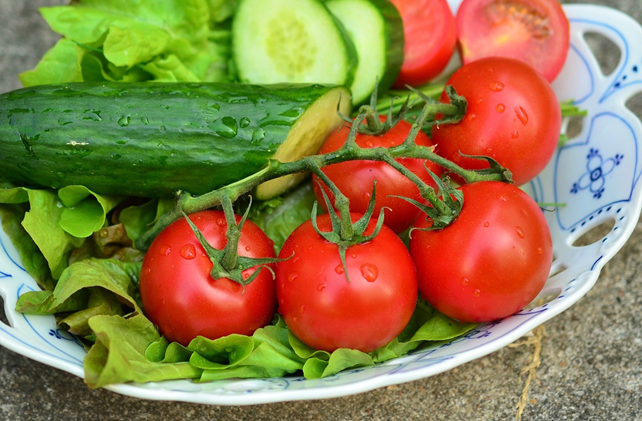 Image Credit: Garden, Cucumbers, Salad, Tomatoes, Harvest, Healthy, Vitamins, Food, Cook, Delicious, Red, Green, Raw Food, Nutrition, Appetizing, Leaf Lettuce, Salad Plate, Eat, Vegetables, Colorful, Max Pixel maxpixel.freegreatpicture.com. 1. The number one organic whitener on our list is good old milk. Milk and related products such as buttermilk and yogurt can be applied topically to the skin to whiten and nourish it from the surface level. 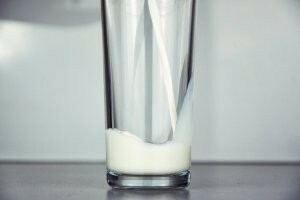 The whitening effect of dairy is attributed to lactic acid, a compound that naturally occurs in goat’s milk and cow’s milk. Lactic acid is capable of lightening the pigmentation of the skin with continued use. Take note that milk-based whitening solutions (even those that are sold commercially) are not capable of instant whitening. They cannot be used as a cosmetic “cover-up” to produce immediate but temporary results. Use milk or commercial, milk-based whiteners if you want to whiten your skin gradually over time, and if you want permanent results. 2. Freshly squeezed lemon and lime juice is commonly used to lighten skin and exfoliate darker surface skin. However, did you know that you can make your main ingredient (lime/lemon juice) twice as effective if you use almond oil in the mix? Almond oil is distilled from fresh almond nuts and is highly praised in the dermatological circles because it is capable of conveying active ingredients (as the carrier oil) while cleaning the skin itself. Almond oil targets dead skin cells and makes it easier for other ingredients in the mix to remove the dead skin cells. Additionally, almond oil is a natural emollient that softens the skin while keeping pores open. Unclogged pores are very important when you are trying to whiten your skin, as your skin will have a tougher time absorbing whitening agents if your pores are closed with dirt and sebum. Almond oil is also naturally rich in beneficial compounds that directly nourish the skin. This type of oil is also classified as non-comedogenic meaning it will not instigate the formation of white head and black heads. 3. What’s in your salad that can help clarify skin? You guessed it right – cucumbers and tomatoes! Tomato juice is naturally rich in antioxidants, vitamins, and minerals that are absorbed readily by the skin. Cucumbers relax and cool the skin, and also draw away impurities from our pores. If you want a simple, relaxing mask at the end of the day, sliced tomatoes and sliced cucumbers are the way to go. More INFO: Best Skin Whitening, Skin Lightening Tips, Best Skin Whitening Product, Home Remedies for Skin Whitening, Skin Whitening Regimen << HERE! Link to this article by using the following URL: http://uniqsource.com/beauty/natural-skin-whitening/ COPY and PASTE!